Hi everyone, it’s Ruby! I thought I’d present a tutorial I developed for how to make the most of your time on your human’s lap. Mom says I’m the best little lap sitter, and I’m constantly purr-fecting my technique! 1. Begin by looking up at your human with a pitiful expression on your face. You know you can jump on your human’s lap anytime you please, but it’s more effective to make your human think they have to coax you up. It works like a charm 99% of the time with Mom. The other 1% (hey, are you impressed with my math skills!) I just jump up anyway. 2. Once you’re on your human’s lap, you can either simply curl up and go to sleep, or you can do what I do for extra points: I put my paws on Mom’s shoulder and give her a big hug. I know she loves it, and the best part is, she hugs me back! 3. Before you settle down completely, you might want to give yourself a quick bath. Humans tend to think this is adorable. For extra points, lick your human’s hand a few times. 4. Then it simply comes down to staying power. Curl up in a comfortable position, and go to sleep. Most humans will not make you move, even if they start to feel uncomfortable, or if they have to use their litter box. That’s because humans love it when we kitties sleep on their laps. 5. Oh, and don’t forget to purr. Humans love that! Do your kitties like to sit in your lap? Hi Ruby, this is Bibi from the Netherlands, thank you for the tips! I’m working hard on my technique, I curl up next to my mom and then she puts her arm around me. I have a big pink tongue and I make very sweet noises when I wash myself. I never had kisses in my life, but I’m starting to enjoy them. Mom says I’m adorable. I don’t believe everything she says, but in this case I’m sure she speaks the truth. It sounds like you’re well on your way to having Mom wrapped around your little paws, Bibi! Ruby, you are a master trainer of the human and I applaud you. At this time, my kitties aren’t lap kitties, so I need to find a way to train them! Ruby, some kitties are just born professionals! 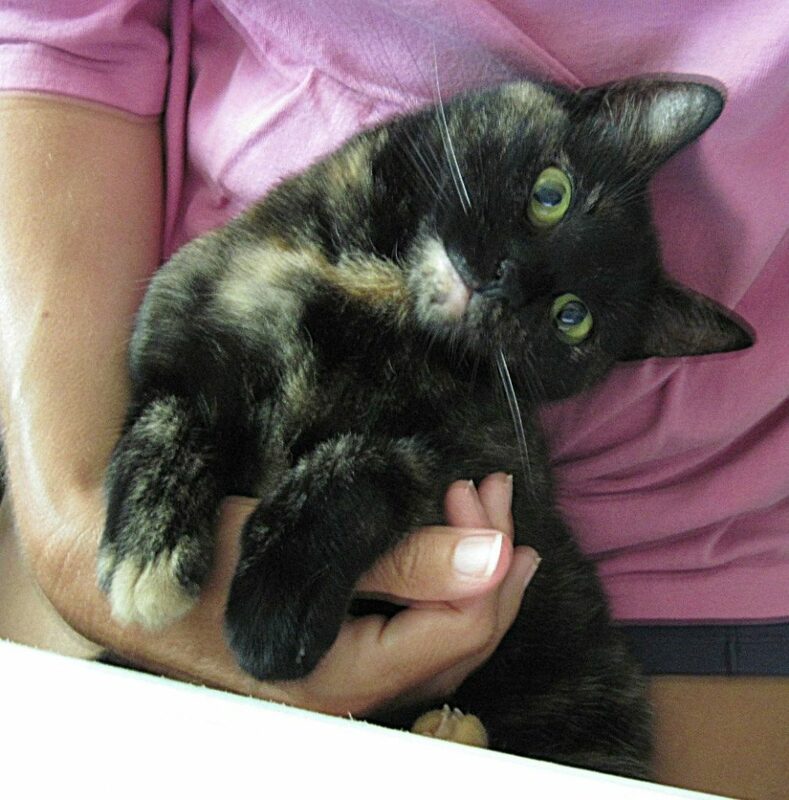 We know you make your human very, very happy with your lap-sitting perfection. Yes, sometimes as many as four of us have piled on our human’s lap, and we just wish her lap could be bigger. My big baby boy (18 pounds!) loves to climb across my chest so I put my arm up, kneed my arm and then flip over and insist on being head like a baby (I call it the breastfeeding position). When there he will either groom himself, sleep or sometimes we will just stare at each other. Those photos are adorable. I have one that only sits in my lap when he wants to be petted. He does purr though. And my oldest sometimes before bed will cuddle on my lap. Otherwise the others are not lap kitties. 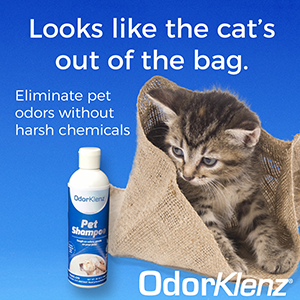 Very funny….I love the part about the human litter box. Of my 4, 2 are lap cats and the other 2 are occasional lap cats….just need it sometimes. You are so right Ruby! I love it when my cats sit in my lap. Such a sweet moment. It’s the best, isn’t it, Debbie. Since my lap cat Cholla died, my kitty Zoe has become a lap cat! Cholla was the dominant cat and would chase Zoe away whenever she got comfy in a spot he wanted. So now he’s gone and she has the choice of anyplace she wants. She usually chooses my lap and I love it! How nice that Zoe filled the gap Cholla left on your lap, Debi. Love this!! Yes, Luna purrs and drools on my lap, and she licks my hand. Our other cats aren’t really lap cats. A drooler and a hand licker – that’s wonderful, Anjali! Stripes, one of the ferals I care for, is a love bug and purrs like crazy when I’m putting her food down, and she weaves in and out of my legs. She likes when I kiss her on the top of her head and pet her. The love of a feral is a wondrous thing . . .
Awww how adorable! What great tips you gave too ! Well done Ruby! Indeed lap sitting and lap napping are “fine arts” and ones I practice and improve upon even after thirteen years of practice…….yep – practice makes purrrrfect. You do look QUITE happy to be in your Mom’s arms. I know that feeling well!! Good to hear that even after 13 years, you’re still practicing the art of lap sitting and napping, Sammy. 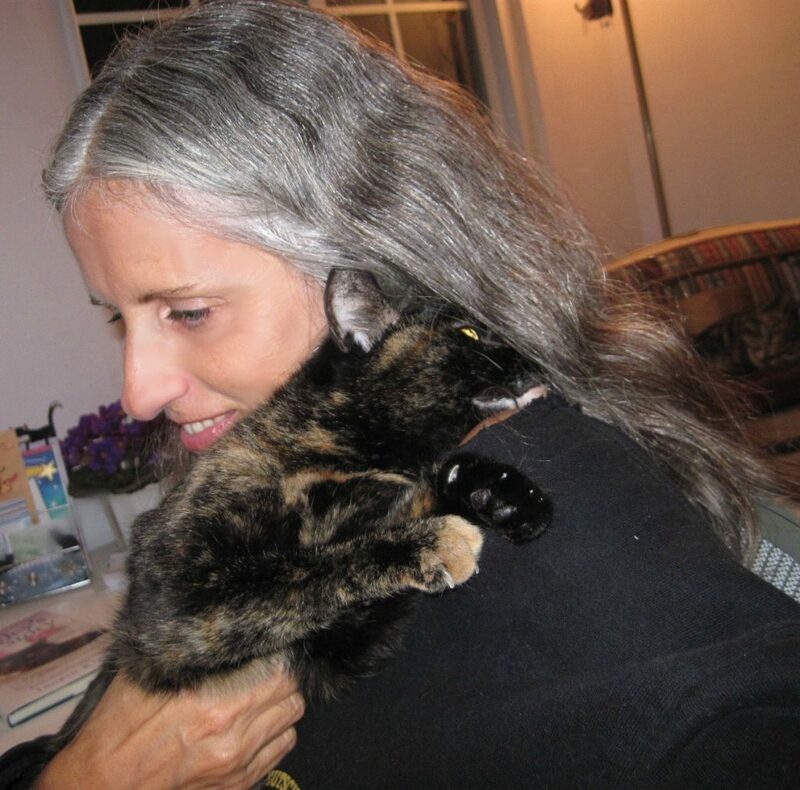 A kitty boa – I love it, Caren! Aww Ruby, you did a great job explaining the art of lap sitting, and you get an A+ for your pitiful expression look. 🙂 Unfortunately, my kitty isn’t a lap cat, but maybe if I print these instructions and place them at cat eye level by her bed, she’ll soon be come one. Ha! I doubt it; cats do what they want. 🙂 Oh, and Ruby, tell your Mom she has very beautiful hair! Aww, Ruby and her mom say thank you, Kristina!